Marjorie “Marji” Beach, 75, of Oak Island, NC, passed away on December 5, 2017, after a long battle with COPD. A memorial service will be held at 11:00am in Aurora, NE, on January 27, 2018. The service will be held at the Higby-McQuiston Mortuary. In lieu of flowers, memorials may be made to the American Lung Association to help fund research to find a cure for COPD. A reception to honor Marji’s life will be held at the Bremer Center in Aurora following the service. Condolences may be e-mailed to the family through the mortuary website at www.higbymortuary.com. Marji was born on October 12, 1942, in Belle Fourche, SD, to the union of Leland Ripley and Mildred Colvin Ripley. She was reared on a ranch in Wyoming and the family also traveled throughout Wyoming, South Dakota, Colorado, and Nebraska training and racing thoroughbred horses. Marji married John Beach in Aurora, NE, in 1964 (later divorced). She graduated from high school in Elba, Nebraska, in 1960, and then completed cosmetology school in Grand Island, NE, in 1961. Thereafter, she worked at several salons in Aurora before co-owning a salon, Design Studio, which they maintained until 1990. At that time she moved to California, where she secured her dream job with Redken, and later worked at L’Oreal in New Jersey. In 2005, she retired and moved to Raleigh, NC, to spend time with her family, which included “the world’s first perfect grandson.” In April 2017, she relocated to Oak Island, NC, to be closer to family. 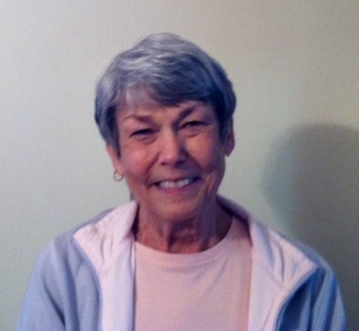 Marji loved to laugh and was known for her sense of humor and her sharp wit. She was truly one of a kind and will be dearly missed. We would like to give a special thank you to the volunteers and staff at Lower Cape Fear Hospice and the SECU Hospice House of Brunswick in Bolivia, NC. Their caring and compassion gave my mother and my family peace during such a difficult time. Marji was preceded in death by her parents and her son, Jon Beach. She is survived by a brother, Leland “Skeeter” Ripley of Ben Salem, PA; her daughters, Jodi Zaruba of Oak Island, NC, and Kris Underwood of Omaha, NE; her “favorite son-in-law,” Tim Zaruba, of Oak Island; a grandson, Trevor Zaruba, of Raleigh; a granddaughter, Sara Rae Rechtenbach, of Omaha; and a step-grandson, Aaron Rechtenbach of Omaha.